That title's a real mouthful, huh? 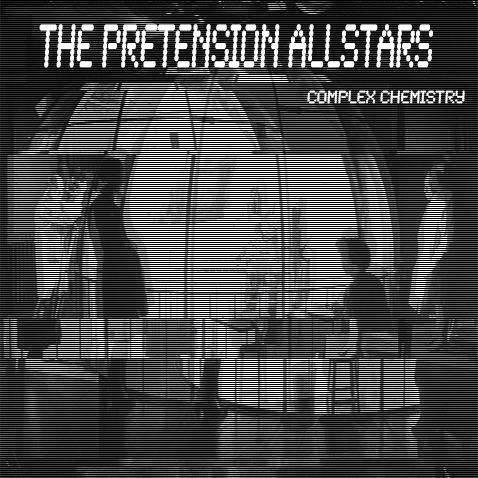 The Pretension All-Stars are Bass Kittens (Jon Drukman), Volum (Jean-Paul Bondy) and Jeff Taylor. The Inevitable Consequence of Complex Chemistry is a rocking Acid Electro track filled with rolling 303s, tricked out drum edits, and analog synthesizers hacking and bleeping around every twist and turn. 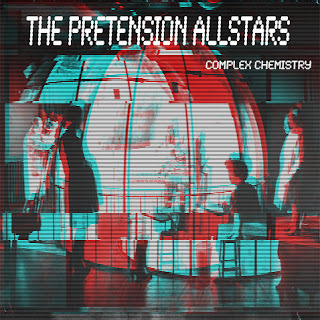 The All-Stars also offer a remix of the track, a stripped-down funky version of the original, still loaded with 303 and spaced-out analog synthesis. Carl A Finlow (Silicon Scally, Voice Stealer) offers a remix with the storming machine-funk and psychedelic Electro madness for which he is well-known. Code Rising rounds out the release with a gloriously glitched-up Electro-Bass monster. All four tunes are ready to rock any dancefloor. Change of pace for Mr. Kittens as he takes us on a dark downtempo trip. IDM, dub, experimental synth washes, drones, ambience - it's all in there. One for dark rooms and late nights.